Here is very simple Maths Brain Teasers. This Maths Brain Teaser looks very easy. 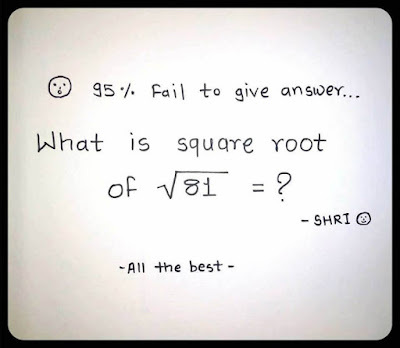 However most of the people fails to give the correct answer. Can you solve this simple yet tricky Maths Brain Teaser? Can you solve this simple Maths Brain Teaser? The Answer is 3. 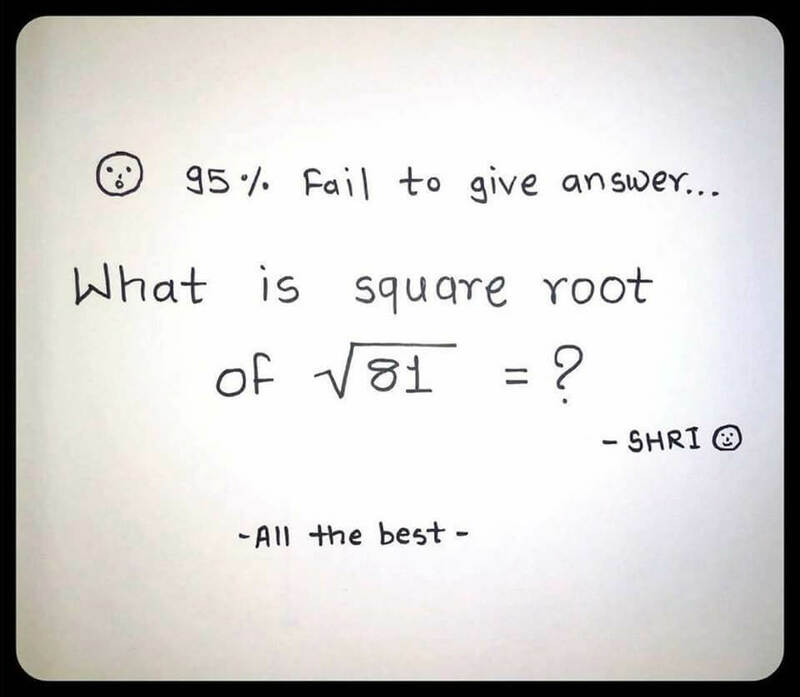 Square Root of 81 is 9 and square root of 9 is 3. Your answer is half correct. There are another possible answers for this tricky math brain teaser. Yes indeed there are two others. Unless it's only in my imagination.